DIRECTIONS: For adults, take one (1) capsule six times daily, on an empty stomach. L-Arginine 1000 mg Caps is rated 4.7 out of 5 by 12. Rated 4 out of 5 by Yob53 from I like the product, but I have had opened caps. in the bottles. Overall I am satisfied with your product. Overall a good value with very good quality. 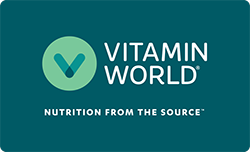 Rated 5 out of 5 by TomTheBomb69 from I love Vitamin World products I love Vitamin World products and the price as well as quick delivery is Awesome. Rated 5 out of 5 by Frank from Excellent product Been using for years great pre workout pump. Rated 5 out of 5 by Bill49 from Use it like it Very happy with this product. I have been taking this for several years. Rated 3 out of 5 by Sonny from Not as potent as Vitamin Shop Could not tell anything. I take before workouts every morning and before bed. Does not compare anywhere near Natural Balance liquid. Rated 5 out of 5 by Mickey from Excellent product, reasonably priced i buy it all the time especially when it is BOGO, you can't go wrong with this item. It is one of their very best products.